Before she was “Missy Misdemeanor” she was Melissa Arnette Elliott, born on July 1, 1971 in Portsmouth, Virginia. Hailing from humble beginnings as the only child of a power company dispatcher and a welder at Portsmouth’s lauded naval shipyard, she rose to become a platinum recording artist with over 30-million albums sold. All this without even once owning a slave. 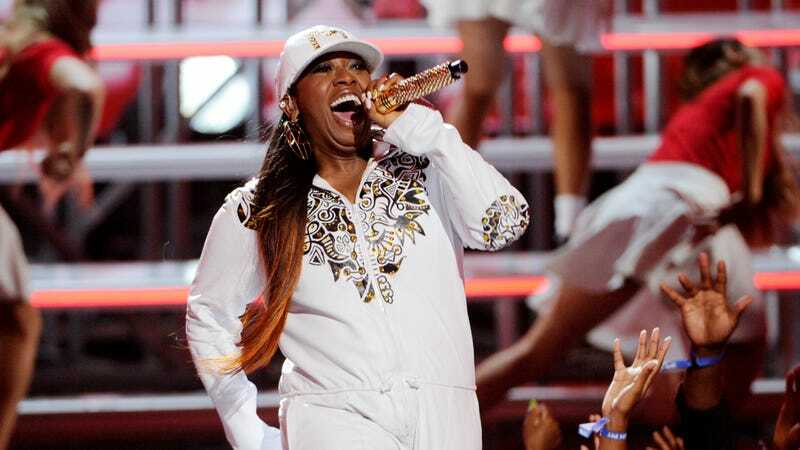 But it’s overruled by discussion of what Missy Elliott outfit would both look fly and stand the rain.